The tides, they are a changin! | Watts Up With That? The tides, they are a changin! CORVALLIS, Ore. – The ebb and flow of the ocean tides, generally thought to be one of the most predictable forces on Earth, are actually quite variable over long time periods, in ways that have not been adequately accounted for in most evaluations of prehistoric sea level changes. Due to phenomena such as ice ages, plate tectonics, land uplift, erosion and sedimentation, tides have changed dramatically over thousands of years and may change again in the future, a new study concludes. Some tides on the East Coast of the United States, for instance, may at times in the past have been enormously higher than they are today – a difference between low and high tide of 10-20 feet, instead of the current 3-6 foot range. One of the most interesting findings of the study, Hill said, was that around 9,000 years ago, as the Earth was emerging from its most recent ice age, there was a huge amplification in tides of the western Atlantic Ocean. The tidal ranges were up to three times more extreme than those that exist today, and water would have surged up and down on the East Coast. Many other factors can also affect tides, the researchers said, and understanding these factors and their tidal impacts is essential to gaining a better understanding of past sea levels and ocean dynamics. Some of this variability was suspected from previous analyses, Hill said, but the current work is far more resolved than previous studies. The research was done by scientists from OSU, the University of Leeds, University of Pennsylvania, University of Toronto, and Tulane University. I guess the moon was closer back then as well! Hudson’s Bay is a tide buffer! Who knew? Yep, actually it was 😉 Though, I guess I might just be failing to adequately detect your humour…. Old news. Of course the propaganda being peddled by CAGW religious zealots portrays that tides are affected by man and ONLY man. This is fascinating. Any related links will be appreciated. When Hudson Bay was “closed down” and buried in ice the Ocean would have been lower so the higher tidal action on the East Coast would have been at lower elevation (or out farther from the current coast line). Back farther in time geomorphic features such as Trail Ridge along the eastern edge of the Okefenokee, now quite far inland, were wave and tide additions to the landscape. Thanks for this one. Good stuff. Yes, it was. Roughly, about 38mm for every year. The earth also spun faster. As the moon moves away the earth’s spin slows down by about 15 microseconds per year. I always thought Hudson’s Bay looked like a Helmholtz resonator, but never thought it would be functional! This is fascinating. 20 feet is what we get here on the East Coast of England, more elsewhere of course. Many creeks and small harbours are only accessible for 1.5 to 2 hours either side of high tide. The CAGW crowd cry doom all the time of course, I shall be launching my dinghy from the upstairs windows if they are anything like correct. During the Devonian the moon was quite a bit closer–enough to make tidal action a considerably more potent geological force in coastal behavior. Tidal pools where common, and fish with gills were stranded on a twice-daily basis. The ability to survive these strandings, in combination with higher SST’s than now, led to the evolution of lungs. In Devonian times the majority of fish–especially shallow water fish–had lungs. With the evolution of reptiles fish with lungs went extinct in the oceans, but the swim bladder of the Teleosts almost certainly evolved from a lung. The coelacanths survived by taking to deep water, where the lung atrophied. Otherwise, the sea surface fish with lungs were replaced by reptiles, dinosaurs, birds and mammals, and the lungfish survived only in tropical rivers. Annual lungfish estivation probably began as a twice-daily and later fortnightly stranding, and advanced to monthly and longer periods of burrowing. These guys might be dead on of course. But my immediate reaction is that this simulation probably makes Global Climate Modeling look like high precision tooling by comparison. Due to phenomena such as ice ages, plate tectonics, land uplift, erosion and sedimentation, tides have changed dramatically over thousands of years and may change again in the future, a new study concludes. One of the most interesting findings of the study, Hill said, was that around 9,000 years ago, as the Earth was emerging from its most recent ice age, there was a huge amplification in tides of the western Atlantic Ocean. The tidal ranges were up to three times more extreme than those that exist today, and water would have surged up and down on the East Coast. 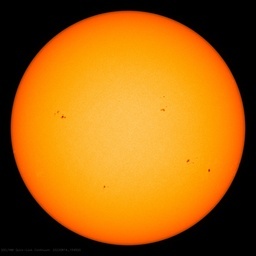 Maybe again the solar dynamics can help understanding the past. I see two major mechanisms in this object. First, as Prof. Ehrlich *) has proposed saw tooth oscillations from resonant diffusion wave modes which correlate with the well known temperature proxies from Vostock Antarctica over millions of years, and second there is an evidence that this resonance process is superimposed by a solar tide process, that is in harmony with the celestial bodies. In that paper I have argued on both suggestions and have shown, that in general the temperature anomalies over a wide time range can be simulated. Prof. G. Patzelt has shown from old trees bottom out of melting gletcher in altitudes were are no trees anymore today that the temperatures in the Alps were higher 7000 y BP and are still decreasing until today. Over the simple density/temperature relation of water for normal pressure it should be possible to simulate the after last ice age pattern also for the future. As Nigel says, the tides get a lot higher elsewhere than the East coast of the UK. In the Britstol Channel (between Bristol SW England and Wales) the extreme range is just over 15 m (average over 8 m, frequently in excess of 10 m). This makes it only second in the world to the dead heat between Bay of Fundy and Ungava Bay in NE Canada. Estivation? cool. After looking it up I’ve decided I’d like to “estivate” for the duration of the CAGW madness…. The result of this paper means that the historical sea level reconstructions are now obsolete as well if they haven’t taken this effect into account. There has been several recent articles posted here on sea level reconstructions and I don’t think this impact was mentioned. Hey Jeff, what about the line representing what we don’t know we don’t know, that line of x’s probably would go to the moon! Yeah it doesn’t take much. The (pretty large) bay of Mont Saint Michel in North France was an oak forest within historical memory. It is theorized ( not sure if it’s been proven) that an ancient dune/ blockage at the sea mouth was washed away in the very late roman era where powerful storms and tides hit the north of France. The early medieval sea flooding in Northern Germany/ Holland/Southern Denmark was of similar nature, but more temporary ( though still washing away miles of shore), massive storms + high tides reaching miles inland and killing lots of people. Still confused how Hudson’s bay, effectively a large salt water lake, can affect tides in the Atlantic. In Cape Cod, Massachusetts (Wellfleet) today, the low to high tide spread was 13.3 ft.
Nope, Actually there’s nothing wrong with my Humour detection abilities……. found some……. It’s the Sun wot dun it! Our climate ‘scientist’ enemies have always refused to believe that the Sun has ANY influence on Earth’s climate – not so! Now one of our friends at DMI proves otherwise, and he even estimates how much. Remember as well that at the height of the last ice age, when Toronto and New York were under a couple of miles of ice, the ocean level was hundreds of feet lower than it is oday. Add in isostatic adjustment and voila . . . Prefer the Clifton Hotel myself. Good also to see one of the industrial revolutions greatest inventions. What about close encounters with large celestial flybys? That video is amazing! In all my years working on climate models I’ve never seen anything like that! – incredible how CO2 in the atmosphere can increase so sharply as to cause such a sea level rise, then abruptly fall to cause the sea level rise to be reversed – all over a 24 hour period. We’ll need R Gates to explain for us how CO2 in the atmosphere can rise and fall so quickly – or maybe Steve Mosher! One of my favorite places on Earth is Mont St Michel, France. The difference between high and low tide can be as much as 46 feet and it comes in as fast as a galloping horse. I think they will adapt, somehow. “Based on information obtained from tidal rhythmites, Williams (2000) showed that at 620Ma the Earth-Moon distance was 0.965 of its present value, and that at 2450Ma it was 0.906 of its present value. These and other considerations regarding the Earth-Moon system (Williams, 2000; Varga et al. 2006) lead to the conclusion that the distance between the Earth and the Moon was perhaps only 20% or so less than its current value even at the start of their joint evolution 4+ billion years ago. This appears to be the current consensus view amongst geologists working on this matter. Williams’ results also imply that the rate of recession of the Moon has accelerated over that period. Received 20 October 2010; revised 8 July 2011; accepted 12 July 2011. Available online 23 July 2011. The impact on past sea level reconstructions depends on the type of proxy used. Changing tidal range tends to be most important for indicators such as macrofauna and microfauna that occur at specific zones relative to the tidal elevations. For example, high salt marsh foraminiferal distributions have been used to reconstruct sea levels globally assuming a constant tidal range (see Scott et al, 1996, Journal of Coastal Research 12(4): 850-861 as background, or Google Scholar search for Gehrels, W.R. for more recent applications). These data would be impacted by changes to high tide elevations. Note that the tidal ranges will also be impacted by sedimentation and dredging in estuaries, and hence complicate the interpretation of high salt marsh microauna. Hudson Bay, and it’s helping to reduce tidal energies all over the rest of the Atlantic Ocean. The implication is that Hudson Bay is part of the Atlantic?–must have misspoken. There is a nice animation of various tidal components in the Canadian Archipelago, Arctic basin, Baffin Bay, and Hudson bay right here.. I have broadband wireless and it took a solid 30 seconds to load, but is very revealing. It looks like the Canadian Archipelago is the real dissipator, and this may have been inoperative with lower sea level 9000 ybp. Sorry…the link for the whole suite of animations is here. My previous link took one only to one animation. We live right on the bay of Fundy, and love watching the tides here. This is a link to a time-lapse video that one of my friends made yesterday at the harbour in Alma, New Brunswick. The tide was roughly 28 feet at St. Johns New Brunswick back in the 1950’s. Not too certain what it is today. What a crock! We can’t predict climate. We can’t predict tectonic plate drift and speed. We can’t predict catastrophic meteorite or comet collisions (except when relatively imminent). In fact, there’s little we can predict about what the earth and its atmosphere is going to do in the long run. Period. We can only measure the changes as they occur and adapt to them. As for the tides, the current tide charts are perfectly adequate for the present. And the CO2 did what? I think I missed something. What did the CO2 do to the tides over the last 20K years? Don’t recall that Prof Mann, after all his putzing about in the shallows on the NC coast, looking at foraminifera, etc, ever mentioned anything about historic tide levels that might have impacted his study. Better reconcile that before he hears about this and brings down the wrath of CliSci on WUWT. Check the tide change from Perth to the Kimberley in Western Australia. The tide was roughly 28 feet at St. Johns New Brunswick back in the 1950′s. Not too certain what it is today. I grew up in Saint John (kindly note that St. John’s is in Newfoundland, about 600 miles away). The daily paper (Telegraph-Journal) gives tides for six places around the province. The tide at Saint John today is around 8.2 meters / 27 feet. The range is around 24 to 28 feet, from memory. Googling could probably find all details. Reading WUWT is fun. One never knows what locale will be discussed next. Today it was only a few miles from where I now live (twenty-odd miles up the St. John River from Saint John, which is at the mouth of the river). The tides are quite impressive. Mispec Beach, not far from SJ, offers several hundred feet of sand at low tide, all of which is covered as the tide comes in. Interesting even to residents. I grew up in New Brunswick and enjoyed that time-lapse chronicle of yesterday’s high and low tide at Alma. For those here unfamiliar with N.B., Alma is the village that is adjacent to Fundy National Park, which if you like wilderness is well worth a visit, both for watching the tides (the water is unbearably cold) and for enjoying the sweet air and inland trails. The city in New Brunswick is Saint John (quite often written that way). St. John’s is the capital of Newfoundland. The tidal amplitude you mention sounds about right – but everything technical is measured in metres in Canada today, so it’s hard to confirm at a quick glance. I once took at field course at the St. Andrews Biological Station/Huntsman Marine Laboratory at the mouth of the Bay of Fundy/Passamaquoddy Bay and well recall the admonition that we had to keep an eye on the waters. One day we were digging specimens from the broad swathe of mud flats adjacent to a road that joins Moose Island to the mainland at low tide (it is deep under water at high tide). I well recall the speed with which the tide came in. The water just simply starts coming towards you – not moved by wave action, and no going back and forth of the position of the front line of waters. It comes in at about 3 – 4 miles per hour at that location. We had to beat a hasty retreat once the tides had turned. 1. Hudson’s Bay dampens out tides and prevents them from becoming extreme. 2. Hudson’s Bay “damping” effects don’t work if ice blocks off the channels from the ocean. 3. Hence, cooling = extreme and violent tides. Warming = benevolent tides. Did anyone else see that 3 mm rise at 41 seconds? “The work was done with computer simulations at a high resolution”. Say no more. Simulations are fundamentally poor, they reflect the data entered, some real, some cherry picked. We can’t simply choose which models we like and don’t like. We need scientific proof, not hunches. I think a prediction is possible for functions in nature if one knows the function. The knowledge can be about the function in time/space, or on the physical process and its laws. If a tide calendar predict the time and height of a local point for tomorrow, or for a day in the next year, then this is possible, because some people have fitted the functions of tide well in a mathematical simulation. This means – and I think this is an important point – that the tide is not simple to calculate out of Newton’s law, it is a play with geometry. It needed several mathematicians and 19 years to one a model had developed, which can compute the Tide exactly on 10 cm. There are many functions known which give evidence that the solar system and the terrestrial climate of the past has a relationship. Finding the relevant real celestial functions, which can simulate in general the global climate of the past, then the prediction of the global climate is just as possible as the prediction of the tide. And that is not only an idea; it is realized by taking the functions of some 10 celestial bodies. Accuracy. If we speak on global climate, we can speak on reconstructed and/or calculated (‘global’) temperatures. These temperatures are the result of the superposition of the terrestrial functions like the Chandler wobble to the solar functions. But they can separate because of their different geometries and time/space. It’s a shame the same can’t be said for the 6 million people living on the Ganges Delta, 0.5m rise could see that many people made homeless. That’s relative sea-level change as well so a large part of that could come from subsidence of the delta. King tides occur during a full moon. I had a marine aquarium inside a unit (condo) that faced the rising moons. I turned the tank lights out at night. Native sea anemones go to sleep in the dark by folding in their tentacles or arms whatever the right name is for them. I noted that during a full moon they would open their tentacles and some even moved slightly across the rocks to actually catch the moon. Even though their tank light was out and so was the room the aquariums were in. Now this was something I couldn’t explain readily. Because a full moon would only shine through the window for a short time before it reached its zenith in the sky? But during the king tides in Cairns, northern Australia, a very popular tourist destination for international as well as Australians, the sea water comes up and washes down the gutters in the main street facing the ocean front. So you know that during a cyclone, heavy storm or tsunami people have been known to be warned to seek higher ground. But the Australian alarmists some government ministers are now claiming that the East Central Coast will be inundated by rising sea levels if we don’t introduce a carbon tax. All coastal regions are popular tourist spots. Now I don’t know about coastal areas in the US, but homes/hotels near ocean views or on waterfronts are terribly expensive to buy. (Millions in fact). Did not stop Al Gore buying property in areas he reckoned would be inundated though. rises from climate change. It is total rot. Atolls are subject to storm damage and erosion. They come and go. But the UN Climate change fund want to compensate them for this climate change caused by developed countries. I lived in Bermuda, and that is a very low set island. They haven’t complained about rising sea levels have they? It’s made up of coral islands though. Nobody is forcing those people to live there. They chose to live there because it is generally very fertile soil so the can grow food they otherwise could not afford. It is the nature of the river delta that made such fertile soil available. River deltas tend to increase available land. Putting in too much control imperils those people just as much as floods and sea level rises (most unlikely scenario). Look at what happened with the River Nile flood plain after the dam controlled the flooding. One explanation could be that the moon is losing mass over time as demonstrated by the attached diagram which shows the crust has been ablated away on the Earthward face… WUWT? Forced at gun-point no… forced by poverty yes. About 50% of 162 million people living in Banladesh live below the poverty line which is $1.25 per day. Do you honestly think they have that much choice on where they live? It’s fine for you though, living a 150m from the local habour, what do you care about millions of people being made homeless, as you say, it’s there own fault for living there after all. With such compassion for your fellow humans I’m surprised you haven’t been nominated for a peace prize yet! The people who lack compassion are those who push the “carbon” scare, and try to force their pseudo-science views on others. One result is the ethanol fiasco, which has jacked up global food prices and caused food riots from Mexico to Egypt. About a third of the planet’s population lives on less than $2 a day. When the price of food goes up due to the CO2 scare, the result is literally starvation. The blame for those mass killings must be laid directly at the feet of those promoting CAGW alarmism. And it is not oil companies. It is people like Gore, Mann, Schmidt, the media, universities, governments… and blog commentators who blame “big oil” instead of the real culprits. That is a straw man agreement Smokey – you are confusing policy decision with the underlying science. Steven E., Bangladesh is and has been subject to flooding that they welcome. They welcome it as it brings in fish etc, that they utilise. . Nothing to do with climate change. The IPCC is claiming that climate change caused by developed or industrialised countries are causing environmental damage to undeveloped countries and atolls such as Tuvalu in the Southern Pacific. Now Tuvalu is sinking, (Atolls do and are subject to storm damage and erosion from the sea they haven’t the geological stability of a coral island like Bermuda where I once lived) and part of their problems is the soil and sand removed from ocean fronts for building purposes. By American companies. I was assailed today by a green hypocrite, while studying my diploma in Organic Agricultural Production (aka as sustainable agricultural methodology). I said I did not believe in the carbon tax being forced on Australia. She (who owns two farms mind you) said the reason I didn’t believe it as it would change my standard of living but forgetting the poor people in the world? I responded I didn’t care about the ‘peasants’ in the rest of the world, I wanted to protect the ‘peasants’ and poor people in Australia! WHY DO some AGW alarmists think that all skeptics of the AGW fraud are affluent? Sustainability for sure for every country depending on the needs. And carbon taxing will do nothing to change the climate one way or the other! “That is a straw man agreement [sic] Smokey – you are confusing policy decision with the underlying science. I am not confusing anything, and you really need to get up to speed on the ethanol issue, because you’re way behind the knowledge curve. The push to use food as fuel was based primarily on the fact that ethanol emits less “carbon.” The flaw in that argument is that ethanol has less equivalent energy than gasoline, thus more ethanol must be burned to push a vehicle the same distance. There is nothing ‘green’ about ethanol, and its mandate – specifically tied to CO2 reduction – is causing mass starvation. Further, the food riots in Egypt were easily co-opted by the Muslim Brotherhood, and now there is going to be another Iran-style Islamic theocracy in the middle east, thanks to the ethanol mandate. The push for ethanol laws was not based on the price of oil, which always changes. Some misguided enviros made that fallacious argument, but when all costs and subsidies are taken into account, it turns out that ethanol is just as expensive as fossil fuels, if not more so. Or perhaps there was once two moons that have since merged.. I mean collided. “Or perhaps there was once two moons that have since merged.. I mean collided. That’s a possibility, although this would not explain the moons ever expanding orbit. Need a gradual loss of mass over a long time period to explain the moon orbit paradox within the framework of our current understanding of gravity. Actually almost twice in that period. Seriously Smokey, the price of oil has increased ~50% in the last 12 months, that’s not because of climate alarmism or people like Gore, Mann, Schmidt etc as you say. Carbon taxes has not increased the price, it’s because of supply and demand and the peceived risk to that supply. Your statement is the alarmism in that a carbon tax is going to cause mass starvation. Sorry, but that’s rubbish! If tidal friction operates then this would simply lead to a more eccentric moon orbit, with the Earth moon system gradually falling towards the sun. The paradox is real. In fact, your entire post above is a textbook example of a strawman argument. You really need to think about what I wrote, instead of presuming I wrote things I that didn’t. As Willis often says: quote my words, then we can discuss them. The law mandating ethanol wasn’t passed in the last 12 months, so you’re arguing with yourself. I pointed out that the price of fossil fuels fluctuates. I wrote nothing about a carbon tax. I explained that the mandate for ethanol was a cause of the rising cost of food worldwide and the concomitant food riots. I explained that ethanol is as expensive as fossil fuel when extraneous costs and subsidies are taken into account. I explained that ethanol contains less energy than gasoline, and that it emits less CO2, which was widely touted at the time as a justification for mandating its use. All these statements are easily verifiable. But if you want to set up a strawman argument and then debate it, by all means, go ahead. Just don’t presume that you’re disputing something I wrote. What do you think is making the earth slow down? Do you believe in Newtonian physics, like “conservation of angular momentum”? Do you think it’s possible for the moon to slow down the earth without raising the moon’s orbit? Well Golly Geeeeeee Wiz and Shazzzzzzzzzzzam! !